Delivery times for the bookcases are generally around 30 days from the receipt of the payment order. 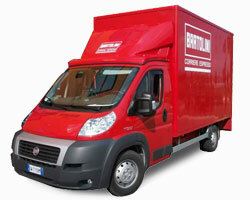 If the components were available before, the cabinet will be delivered ahead of the standard delivery time. Free shipping is available only in Italy if your total order is at least €300 for a lower amount is calculated by a fee equal to 30.00 Euro. For other destinations not included in this page , world wide shipping furniture, please send a request via email. We can ship our bookcases all over the world. It is not possible to request an appointment to the shipping customized, but you can agree on the date and time slot compatible with the logistical needs of the shipper. The goods, sent by courier, traveling with insurance coverage.